Forget the grocery list, you’re on vacation! Let someone else do the work for you at one of these excellent restaurants who are opening their doors to provide you a delicious Thanksgiving Dinner in Myrtle Beach. Spend the extra time with your family and enjoy more time being thankful for the ones you love! 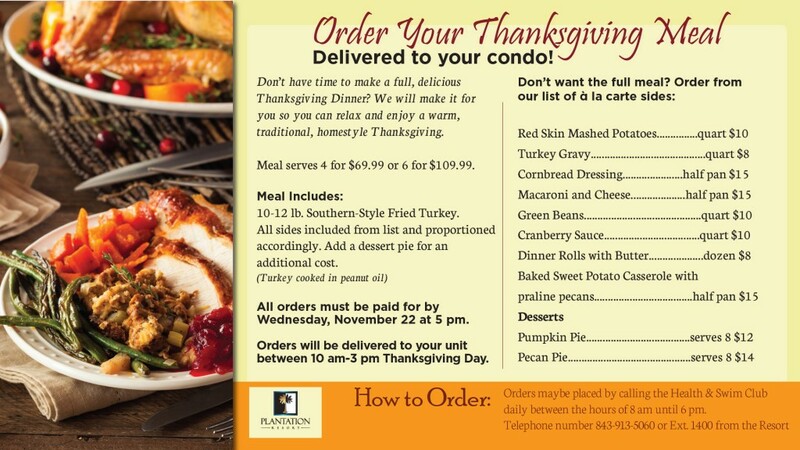 And for those of you who prefer to stay close to your condo, Plantation Resort is not only offering a mouthwatering Thanksgiving Buffet at the Activity Center but delicious meals delivered right to your door! Enjoy Southern Hospitality at its Finest! 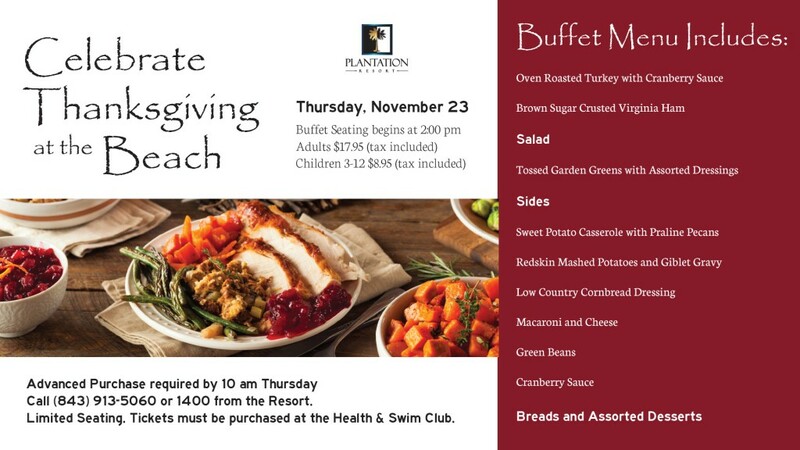 We are having a Thanksgiving Buffet at Plantation Resort and want you to join! Can’t make it to the buffet? Don’t worry, we will bring you an enticing slice of tasty Thanksgiving Turkey right to your door step! We are offering free delivery this Thanksgiving season. You can expect a fresh Thanksgiving feast to be delivered right to your doorstep so you can relax and enjoy a home-style meal with ease. For more information on Delivery options see the menu below. California Dreaming is serving an All-American Thanksgiving Special from 11 a.m. to 9 p.m. at both the Myrtle Beach and Surfside Beach locations. Dishes include oven roasted turkey breast, sugar-cured ham, sweet potato casserole, green beans, honey-butter glazed carrots, mashed potatoes, southern herb stuffing, homemade giblet gravy, cranberry relish, cornbread muffins, pecan or pumpkin pie. The price is $18.95 for Adults and $6.95 for children under 10. Carry out is available when you pre-order. Reservations are recommended. 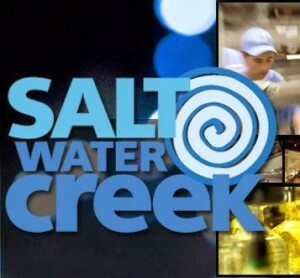 Salt Water Creek Café in Murrells Inlet invites you to their annual Thanksgiving Day Feast. They’ll offer slow roasted turkey breast, honey baked spiral ham, sweet potato with pecans, cranberry sauce, homemade bread stuffing, mashed potatoes, broccoli cheese casserole, honey glazed carrots, gravy and pumpkin or pecan pie for $20/Adults and $12/Children. Prime rib, crab cakes and salmon specials will also be available for a separate charge. Call ahead for reservations. Fiesta del Burro Loco is serving up a Thanksgiving Fiesta from 4 p.m. to 10 p.m. serving their regular menu and happy hour drink menu all night! Reservations recommended. 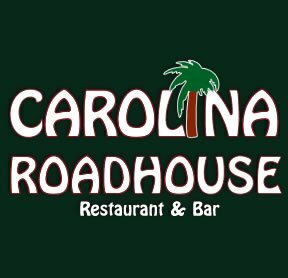 Carolina Roadhouse is offering a special Thanksgiving dinner served from 11 a.m. to 10 p.m. Thanksgiving dinner includes oven roasted turkey breast, sugar cured ham, sweet potato casserole, green beans, honey-butter glazed carrots, mashed potatoes, southern herb stuffing, homemade giblet gravy, cranberry relish, cornbread muffins, pecan or pumpkin pie. The price is $19.95/Adults and $9.95/Children under 10. Reservations are recommended. 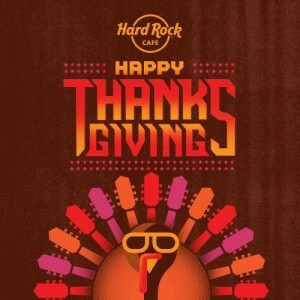 Hard Rock Café at Broadway at the Beach will serve up a Thanksgiving feast from 12 pm to 6 pm (last seating at 4:30 pm). Feast on chef carved oven roasted turkey with traditional turkey gravy, cornbread stuffing, fresh rolls and more. The buffet is $27.95/Ages 11 and up; $11.95/Ages 4 to 10 and free for children ages 3 and under with a paying adult. Dinner will be served from 12-6 p.m. Call (843) 946-0007 for reservations. 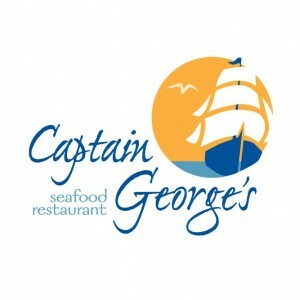 Captain George’s Seafood Restaurant will serve a traditional Thanksgiving buffet from 11:30 a.m. to 9 p.m. The buffet includes turkey, Alaskan snow crab legs, steamed shrimp, ham and much more. The buffet is $34.99/Adult and $18.99/Ages 5-12. Children 4 and under are free with the purchase of an adult buffet. They are accepting reservations for parties of 10 or more. 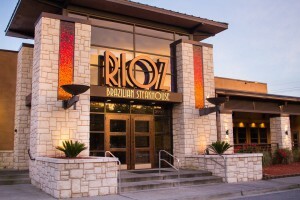 Rioz Brazilian Steakhouse will offer a Thanksgiving Day Feast this year beginning at 12pm noon. The steakhouse offers sizzling meats (beef, pork, chicken and lamb) brought right to your table served with delicious sides. The salad bar features hot and cold items like sushi rolls, artichoke bottoms, jumbo asparagus, Brazilian beans, rice and more. The cost is $29.95 for all dinner buffets. Reservations are recommended. Order your Thanksgiving feast to go with help from Croissants Bistro and Bakery. 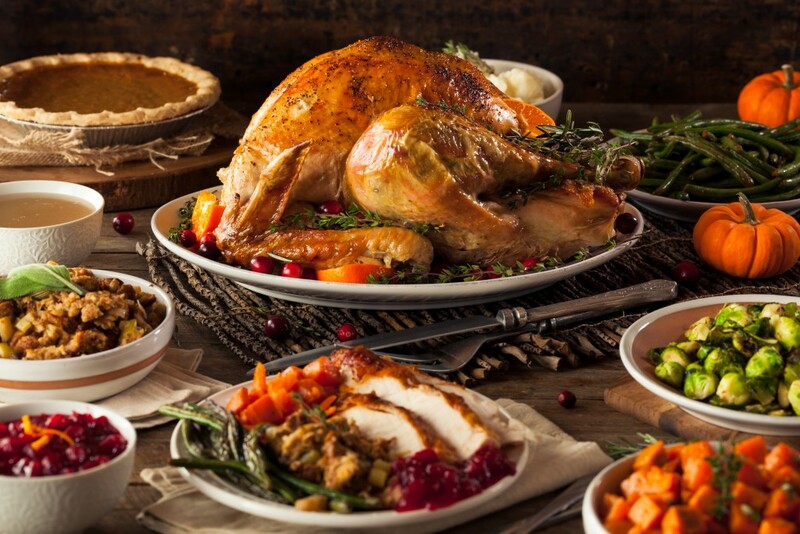 They are offering a 10-12 pound whole turkey for $100 or a 5 pound turkey breast for $75 plus great sides like butternut squash soup, sweet potato casserole, green bean casserole, macaroni and cheese and more sides for an additional charge. They are also serving up a variety of homemade pies, strudels, cookies, muffins, cakes and breads. Get your to go orders in early! Sam Snead’s Oak Grill and Tavern in Carolina Forest will have a special Thanksgiving menu. First course includes your choice of house or Caesar salad or a bowl of butternut squash soup. Entrée choices are smoked turkey breast served with turkey gravy and cranberry chutney; herb crusted prime rib au jus and creamy horseradish sauce or hickory smoked ham with grilled pineapple rings. Take your choice of three sides including basil red-skinned mashed potatoes, green bean casserole, sweet potato casserole, corn soufflé, and traditional southern stuffing. Dessert is your choice of homemade apple pie a la mode or sweet potato maple cheesecake. The price is $25.95/Adults and $9.95 for children 12 and under. Reservations are recommended. Ruth’s Chris Steak House in Myrtle Beach is offering a traditional three-course turkey dinner for $39.95/Adult and $12.95/Children. The menu includes your choice of starters, entrée and sides plus dessert. Starters include your choice of one: Louisiana Seafood Gumbo, Caesar salad or a steak house salad. The entrée is roasted turkey breast with homemade gravy, sausage and herb stuffing and cranberry relish. Pick from one of four tasty sides and top it off with pumpkin cheesecake and vanilla ice cream for dessert. Reservations are recommended. 21 Main at North Beach will offer a Thanksgiving meal that will include a variety of menu items such as roasted tom turkey, honey glazed ham, mac-n-cheese and collards, prime rib, a pasta station along with an assortment of desserts! Seating is available from 12 p.m. to 3 p.m. $39.95/Adult and $19.95 for children 12 and under. Reservations recommended. House of Blues is hosting a Thanksgiving Buffet from 11 a.m. to 7 p.m. Enjoy live music! The cost is $34/Adults; $16/Ages 4 to 10 and free for kids 3 and under. $1 from every adult buffet will be donated to the Sea Haven Youth Home. Reservations are recommended. 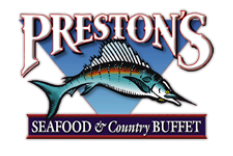 Preston’s Seafood and Country Buffet will create an ol’ fashioned Thanksgiving Day Feast. Entrees include a carving station with tender roast tom turkey and honey baked ham, with prime rib and steak, BBQ ribs, a medley of baked and fried seafood and a plethora of salads, sides, desserts and more. The charge is $27.95/Adults; $13.95 for Ages 7 to 11; $6.95 for children ages 3 to 6 and free for under 3. The restaurant will open at 11:30 a.m. Reservations are recommended. Come relax with us as you eat your Thanksgiving feast without worrying about how you are going to cook your turkey. All of these restaurants are just a short drive from your favorite “home away from home” at Plantation Resort. For more information about a stress-free holiday vacation at Plantation Resort, please call Owner Services at 1-800-845-5039 to reserve your stay today.